A legal opinion prepared for ratepayers group Mangawhai Residents and Ratepayers Association (MRRA) by Quay Chambers Barrister Kitt Littlejohn identifies several breaches of the Local Government Act (LGA) by Kaipara District Council (KDC). The legal opinion raises important questions about the lawfulness of processes and decisions made by Council when setting the KDC Long Term Plan and Rates for 2012-2013. A key issue is that KDC made significant changes to the draft Long Term Plan (LTP) and did not consult the community – as it is required to – about major changes. 64. ……Kaipara District Council adopted a completely different (and previously un-signalled) financial strategy to deal with its significant debt levels at the 11th hour in an attempt to quell widespread criticism of the lack of information, poor financial management and scale of proposed rates increase, and in doing so, increased the total cost of the debt to the district and its ratepayers for much longer. “This opinion adds to our understanding of what the law says about how our Council has behaved and makes us more determined to fix it,” says Bruce Rogan, Chair of MRRA, which is leading a Kaipara District campaign to address issues arising from the controversial Mangawhai EcoCare Sewage scheme. 53. ….I am satisfied that there are significant provisions in the adopted LTP that go beyond the scope of the draft LTP and were not reasonably or fairly raised by any submission on the LTP. In my opinion, the KDC had no power to adopt these revised provisions without first proceeding through the special consultative procedure. Its decision to adopt the LTP without following that procedure is therefore in breach of the LGA. If that decision is invalid then the LTP is defective and the rates resolutions made in reliance on that document are invalid. “This opinion vindicates ratepayer strike action”, says Bruce Rogan. More than one thousand ratepayers have joined the rates strike. 77. Ultimately, it is not for the ratepayers to prove that they are entitled to with-hold payment; it is for the KDC to establish that the rates are valid and were validly set. 59. To advance and “prove” the complaints against the KDC’s compliance with the LGA, the appropriate course of action is to apply for judicial review under the Judicature Amendment Act 1971 of the KDC’s decisions to notify the LTP prior to adopting an annual report, to adopt the LTP out of time and in breach of its decision making powers, and to set the 2012/2013 rates for the district on the basis of that LTP. PS: Since this opinion was obtained, MRRA has obtained via the OIA various documents from Kaipara District Council which indicate that KDC has spent some $36,000 with law firm Simpson Grierson on advice relating to the rates. The documents reveal the close involvement of Dept of Internal Affairs officials at key advisory meetings attended by Commissioners, KDC's CEO, and Simpson Grierson lawyers. 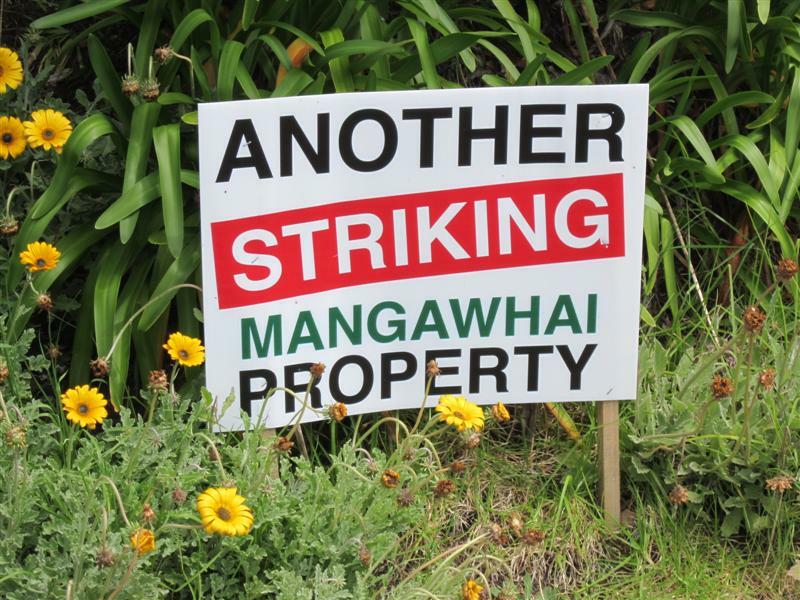 The Government is keeping very close tabs on what is happening at Mangawhai. Unsurprising really. 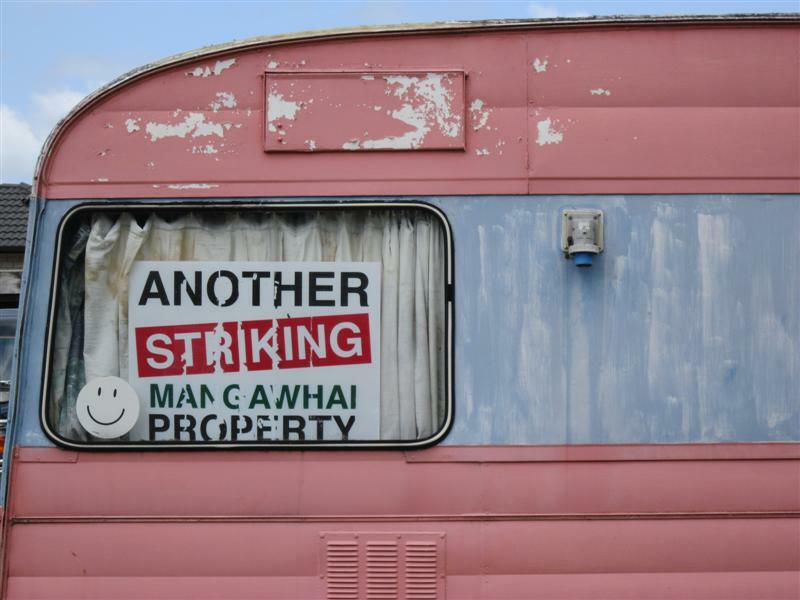 The Long Term Plan for 2012-2013 might have been signed off by the departing Councillors, but it has all the hallmarks of being designed in Wellington by Government officials. In December this year, the Office of the Auditor General released a report about Auckland Council, Transition and various related issues including Council Controlled Organisations. I have cut and pasted sections here which give a flavour. I have not included material from the report relating to: Regional leadership; Two tier structure; or Maori participation. Of particular interest is the attention placed toward the end of OAG's report on CCO governance. I have high-lighted in bold sections which concentrate on this. The OAG's advice to Council - which you can see in context below is that: "....If a CCO is not meeting the Council’s expectations, the Council should remove the board, replacing it with members who the Council has more confidence in to act on its expectations...."
Look here for the full report, and chapter by chapter sections. The Auckland local government reforms are one of the most significant public reforms of the last 30 years. The reforms were carried out in just 18 months. We asked the (50) people we spoke to what they thought could be learned from such a major transition. In July 2012, Auckland moved up four places to be ranked as the ninth most liveable city in the world on Monocle Magazine’s annual quality of life top 25 cities index. Monocle Magazine attributed the lift, among other things, to Auckland’s new governance structure. In 2009, the Royal Commission on Auckland Governance noted that Auckland ranked fifth on the Mercer Worldwide Quality of Living Survey. In 2011, Auckland had moved to third place. The ATA described the new planning system for Auckland as “the cornerstone of the Auckland reforms”. It foresaw that achieving one spatial plan, LTP, and unitary resource management plan would be challenging for the planning and policy activities and elected bodies of the Council. However, it also saw that there would be efficiencies for the region’s citizens, businesses, and organisations in having one set of consistent rules and policies, rather than the eight sets of different plans and policies, numbering in the hundreds, that existed before the amalgamation. The Royal Commission identified two broad, systemic problems with Auckland’s former local government arrangements – weak and fragmented regional governance and poor community engagement. It cited disputes between councils over urban growth and the development and sharing of important infrastructure, inconsistent standards and plans, and limited sharing of services between councils. The Commission considered that this resulted in delayed (and sometimes suboptimal) decisions for the region, poorer services at a higher cost than necessary, and prolonged formal and duplicative consultation instead of true connection with their communities. As we were writing this report, Parliament was debating the role of local authorities in the economic, social, environmental, and cultural well-being of their communities. Many people we spoke to observed that the expectation of local government to contribute to community well-being had been fundamental to the Auckland reforms. We have observed the support for the Auckland Plan during our audits. This support is an early indication of the significant and promising differences that new governance arrangements could achieve. However, we were told that regional integration is creating “winners and losers” as it begins to affect communities and households – for example, the current rating changes and consolidation of contracts for services. The Council has completely overhauled the rating systems used by the former councils to provide a stable and predictable basis for rating throughout the region. The main platform of the new rating system is a capital value-based general rate, with eight property type-based differentials ranging from 0.25 to 2.63 for each dollar of capital value, and a uniform annual general charge ($350 for each separately used or inhabited part of a property). The Council has taken a taxation approach to rating rather than attempting to set rates to reflect the benefits received from services in each area. The new system has meant significant shifts in the rates paid by households. These shifts are influenced by changes in the valuation of properties and by the extent to which the new system differs from that used by the former councils. The rates some ratepayers pay have reduced, while those of others have increased. The Council currently funds just under 65% of its depreciation expenses. It will build to fully funding its depreciation expense during the term of the LTP. Debt is drawn down only when costs are committed, and forecast capital expenditure is deferred until it is actually required. Although the Council’s focus on managing operating costs will generate further savings, the Council’s longer-term growth and development needs see the Council’s group debt rise from $4.03 billion at 30 June 2011 to the $12.7 billion in 2021/22 forecast in its LTP. About half the projected debt relates to transport activities; a quarter to water, wastewater, and storm-water activities; and a quarter to other core Council activities. This debt forecast is based on projected rates increases of 4.9% for each year of the LTP. A 3.6% increase was passed by the governing body for 2012/13, the first year of the LTP, Recently, in proposing the Council budget for 2013/14, the Mayor has indicated a rates increase of 2.9%. In the longer term, debt looks likely to increase and to become a more significant factor in the Council’s financial management. Debt is increasing during the long term as the Council invests in infrastructure but, as discussed in more depth in our report on matters arising from the 2012-22 LTPs, the forecast debt remains well within the policies’ limits of the Council and appears prudent. We were told that the quality of management and monitoring information given to the Council’s Senior Leadership Team has been poor, although it is improving. We also heard that information system and management issues are affecting those in governance roles. Elected members expressed concern that they did not know when or by whom the work to integrate the Council’s systems was being carried out. The immediate transition to a unitary Council has passed. The stability of day-to-day services has been ensured, and the main strategy and planning documents have been prepared. The Council is starting to optimise the value that can be gained from the initial change process. Many people we spoke to considered that it will take two to three electoral periods to settle the changes, to consolidate and standardise service systems and processes, to unravel and resolve issues, and to learn how to better understand and manage inherent tensions. • develop systems to address the Council’s internal and external service performance needs. A substantive CCO is unique to Auckland and is established under the Local Government (Tamaki Makaurau) Reorganisation Act 2009 or the Local Government (Auckland Council) Act 2009. A substantive CCO is a CCO that is responsible for delivering a significant service or activity on behalf of the Council, or that owns or manages assets with a value of more than $10 million. The Auckland Council is operating under a new model where substantive CCOs deliver services and activities that are funded by more than 35% of the Council’s total rates. These CCOs also manage $25 billion of assets owned for the benefit of the public, which makes up 70% of the Council’s consolidated total assets. The Council’s CCOs provide many of the services that usually form the core activities of local authorities in New Zealand. These services include roading and public transport, water and waste water, and economic development activities. The ATA saw CCOs as a way of ensuring efficient management of operations, allowing the Council to focus on developing policies, strategies, and plans to drive Auckland forward. The expectations of the Council are set out in the CCO accountability policy, the Mayor’s annual letter of expectations, and the Guide for Council-Controlled Organisations. The CCO accountability policy outlines the Council’s expectations of its substantive CCOs. The policy, which is required by legislation, identifies CCOs as partners in the delivery of the Council’s objectives and priorities, with a key role to play in the Council’s vision for Auckland. The Council expects each CCO to align its activities with those of the Council and to act consistently with its vision and with the objectives set for it by legislation. The Mayor’s annual letter of expectations is intended to guide the CCOs’ strategic direction and help them prepare their SOIs. The letter of expectations sets out the parts of the draft Auckland Plan that each CCO is expected to contribute to, priorities in the draft LTP that each CCO is required to give effect to, and local community priorities and preferences identified in local board plans that each CCO is to consider addressing when preparing its SOI. Records of discussions between the governing body and CCO board members conclude that there is enough formal performance monitoring between the Council and CCOs. More interaction was sought between CCO board members and councillors to foster a culture of co-operation and trust that is oriented towards the future, and that enables CCO governors and staff to understand the effect of CCOs’ business decisions for the Council. For their part, Council staff told us that monitoring performance measures and targets is easy – after the fact. Their greater difficulty was with integrating and aligning planning and future initiatives. CCO boards were sometimes viewed as a barrier to the Council’s strategy and planning, by not refining their leadership of the CCO for the new arrangements and changing circumstances. The Council appeared to be taking other steps to secure this alignment and integration, in addition to the Shareholder Expectations Guide. In particular, we were told that the Council is currently amending CCO constitutions so that the Chief Executive of the Council can be appointed as a member to any board. We also heard that Council staff had found it difficult to get information from CCOs in the templates or time frames required for preparation of the LTP. There have not been similar issues for those CCOs that receive financial services from the Council. The CCOs that were perceived to be unhelpful in providing information said they were surprised and dismayed when Council staff raised these issues. The issues were attributed to miscommunication and misunderstanding of the overall financial model the Council was constructing, leading to information being supplied in a different way to that sought. We were told that the CCOs are very responsive to the needs of the Mayor and governing body. However, they are seen as less responsive to Council staff. For example, we were told that CCOs could be slow to provide information on the grounds that it needs to be discussed by the CCO board first. Council staff were concerned that, as a result, governing body and local board members were frequently surprised by late information about matters such as project and budget changes. • does not impose a "compliance burden”. • the creation of a "compliance burden". The Council and CCO governance relationships are evolving. However, we noted a tendency by people we spoke with to focus on formal processes and mechanisms for consultation and monitoring between the Council and CCO staff. We were surprised at how infrequently the extent, nature, and quality of engagement with CCO board members was discussed. We are not confident that the Council will be able to move to a more futureoriented and trust-based culture through the use of more formal processes and mechanisms. 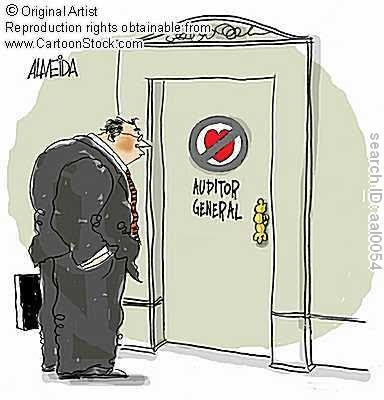 Ultimately, the mechanism for accountability of a CCO to its owner is through the board. If a CCO is not meeting the Council’s expectations, the Council should remove the board, replacing it with members who the Council has more confidence in to act on its expectations. We consider that the Council could improve the feedback from the governing body on the CCOs’ SOIs. In our view, the feedback should prioritise the input on the CCO’s SOI from other parts of the Council to give CCO boards clear expectations about the Council’s preferences and priorities. A Council Chief Executive who is also appointed as a CCO board member is likely to face conflicts between their duty to act in the best interest of the Council and to act in the best interests of the CCO as a director. All CCOs – in particular, those that have a critical part to play in the public’s trust in the Council and the achievement of the Council’s consolidated LTP and the Auckland Plan – need to understand and demonstrate their commitment to playing their part. A CCO board must endeavour to give the Council confidence that it understands the Council’s expectations. On the 27th November this year, PricewaterhouseCoopers provided Auckland Council (and other bodies involved in the Upper North Island Strategic Alliance - UNISA) with its report entitled: "Upper North Island port and port-related infrastructure supply and demand study". Some water has passed under the bridge since the Auckland Council first considered the report at a meeting of its Regional Development and Operations Ctte on the 6th of December which I attended along with a number of others - including Alex Swney and Greg McKeown who made representations on behalf of Heart of the City. You can see the agenda item here. You can also download the actual PWC report in chunks of about 8 meg apiece - parts 1, 2 and 3. I hadn't read the PWC report before attending, but have since thoroughly digested its analysis of where we are today, and its Exec Summary of how to plan for next 30 years. This is the crucial finding in my opinion:PWC expect any requirements for future infrastructure development at Ports of Auckland to be "smaller in scale than the preferred reclamation options in the 2008 Port Development Plan." These extracts from the PWC report provide an independent view of the state of Ports of Auckland vs Ports of Tauranga, and more importantly explain supply chain logistics and what motivates exporters or importers to chose POT over POA - even when they might be based in South Auckland. It also explains well the role of inland ports (like Wiri and Metroport). 4. we expect the relationship between trade weights and trade values to change over time, as trade in high-value/low weight products is likely to grow. Pg 74: Ports of Tauranga remains New Zealand's best performing port on most measures. Pg 77: ...because domestic freight costs are large relative to sea freight costs, changes to the NZ port sector that require increased domestic cargo movements may have a large impact on importers and exporters from more distant region.... transport costs from Whangerei to Auckland and other UIN locations are likely to make it uneconomic to develop Northport to handle containerised cargo unless significant investments were made in land transport infrastructure and inland ports.... one important caveat to this analysis is that consolidating freight volumes on rail may increase cost-effectiveness of moving freight domestically. Rail provides increasing returns to scale for large volumes of freight. For example (an expert) estimated that two-way container traffic of 35,000 TEUs per year would reduce per -container rail costs by almost 70% relative to the prices for a single container. Consequently, inland ports or other means of consolidating freight from high volume shippers may reduce the costs to distance significantly. This is apparent in the case of Metroport, which,.... has enabled Ports of Tauranga to compete for freight in the Auckland region. Pg 81: Inland ports... do have some public policy implications for land use and infrastructure planning. If inland ports provide a commercially viable proposition to shippers - ie they reduce supply chain costs by consolidating sufficient volumes of freight and moving it to and from a seaport by rail - they may have an impact on land uses in the surrounding area. For example, they may strengthen incentives for production or distribution facilities to locate close to the inland port. I won't report much of this here. A few Councillors had given the PWC report more than a skim. Council Economic Development staff - who wrote the accompanying report - tried to rescue something positive from the PWC report that supported their determination to hang on to the old POA reclamation plans. Come hell or high water. But it is hard to avoid PWC's statement that whatever happened at POA it should be: "smaller in scale than the preferred reclamation options in the 2008 Port Development Plan." I didn't take part in it. I didn't like it. Was media led. We need an analytical platform. This report is a starting point. It is practical. Some say it is not bold enough. It is a good template. Port is necessary. So is Ports of Tauranga. So is Northport. We can't move it. Needs some common sense. Was never going to be all the way to Devonport. Clear pathway for discussion with POAL Board. As we reflect on being competitive with rest of the world. When I reflected on what the Mayor said, actually said, I couldn't think of a single fact or idea that was in the PWC report. After the PWC people summarised their report - under watchful eye of Council officers - there was a good question and answer session. Cllrs Coney and Lee - being ex-ARC - had a strong grounding already, and their questions and comments reflected that. Cllr George Wood was the most impressive of the rest. He had actually read the report and asked probing questions about Wiri - why was it so under-utilised. 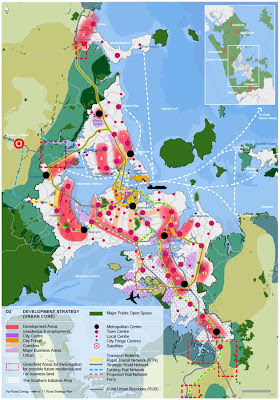 However the guts of the discussion was what to do for/about the port reclamation plans in the Unitary Plan. The focus was the Unitary Plan. Not the Port. Cllr Hulse asked, "what are you suggesting goes into the Unitary Plan?" Officer Harvey Brookes replied, "we haven't done the work. Up to now its been handled as "discretionary" activity. A resource consent is all that's required. Could be almost prohibited. Or could be permissable...."
The upshot appeared to be not to make any decision at this meeting about that. You know the compact city rhetoric. I've been saying it for a long time too. Auckland's Regional Growth strategy has been calling for compact city development since 1998. The criticism of the strategy has been the absence of implementation planning. In the not too distant past there was also a strategy of "Infill Development". And North Shore City for a while experimented with "Minor Dwelling Units". With varying degrees of success. is it just one size fits all? A couple of people have asked me questions about this - after my brief appearance on Close Up, and the pieces that have appeared in NZ Herald. It got me thinking, because they told me about initiatives that are unfolding now across the USA - the country that invented sprawl - the one we copied our motorway driven development pattern from. It hadn't occurred to me that since the USA invented the problem, they might also be the first to start thinking constructively about how to solve it. The key difference in their approach - and something that we need to engage with - is the need to repair existing sprawling suburbs. The need to make them better. Here in Auckland we criticise them and go on about how we don't want anymore. But then we ignore the ones that already exist - apart from where they run along a growth corridor, or sit round a growth node. The repair approach is to look closely at our different sprawling suburbs - the ones with all the problem of single zoning - and identify strategies that fit local sprawling communities. More importantly - the challenge is to come up with ways that motivate the community to make the change - rather than them feeling the change is being imposed on them by a draconian Council zone. Many communities are increasing housing options in existing neighborhoods that are zoned for single family residences by allowing property owners to build what are commonly called granny flats. Planners refer to granny flats as accessory dwelling units. How and where these can be added varies between and within communities depending on lot sizes and configurations. In some places they are only permitted if they are interior to or attached to the main dwelling, while in others they can be constructed over a detached garage or as a separate unit or guest house, as long as minimum distances are maintained from lot lines and other structures on the property. Accessory dwelling units can serve several functions. For aging homeowners who need assistance, they can provide caregiver or caretaker quarters. Some communities attempt to limit accessory dwelling units to these uses by requiring residents to be members of the homeowner’s family. Where no tenancy restrictions are imposed, accessory dwelling units can accommodate guests or produce rental income for the property owner. South Pasadena, like all California cities and counties, is required by the State to allow accessory dwelling units in order to help ease a severe statewide affordable housing shortage. South Pasadena’s ordinance is designed to comply with state law while protecting the existing character and integrity of residential neighborhoods. But the different way of thinking that Auckland can learn from - skipping ahead - is to recognise the opportunity we have to redevelop sprawl. This entails looking at what needs to be repaired. It's about retrofitting suburbia. This new thinking aims to first of all illustrate how to repair the different range of suburban conditions - and aiming to create more self-contained - or complete - communities, out of what is there already. This picture is Papatoetoe. And it's repeated across Auckland. The first step is to look at the full range of opportunities that might exist for our classic sprawl as illustrated in this picture - design how to engineer and incentivise those interventions. And only then fit them into the regulatory framework. They will need to be implemented with permitting strategies and financial incentives. It is thinking that builds on existing built infrastructure, and service infrastructure. You will be aware of the current Government Grant scheme, run out of EECA (Energy Efficiency and Conservation Authority), where about $1000 of government money is available if you insulate your house. A whole heap of contractors are out there to do the work. Take that scheme and change it like this. 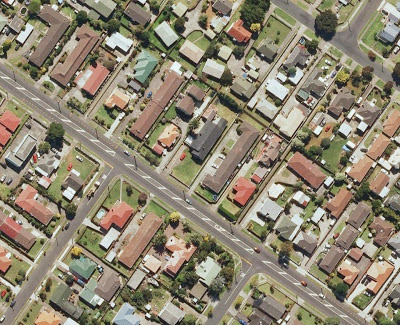 It's a scheme for doubling (say) the residential housing capacity of a suburban street/community/neighbourhood in Auckland. Imagine the objective is that the children that grow up in that area could buy a low cost unit there (alongside and amongst the stock of 3 bedroom detached houses). The idea also is that as you get old and want to retire to a smaller home, you can find one in the neighbourhood - whereas before you had to pack your bags and head for the nearest retirement village 20 kms away, and away from your friends and family. That idea, that vision, would be the social incentive to participate in the scheme, and to support it, embrace it - rather than fighting an ill-thought out unitary plan imposed from above. Imagine the financial incentive is a government grant - a contribution to the redevelopment of a single section, or more likely a few adjacent properties. Auckland suburbs - many of them - contain good well built wooden homes that can be re-located or moved sideways. Space made for a medium density cluster perhaps. Or a corner shop. You get the idea. Just a few thoughts to get the grey cells working. It's one thing to have a plan to build 100,000 houses - it's another plan figuring out how to fit a lot of those into repaired suburbs by engaging communities, getting them to buy into the plan, and doing it from the bottom up. 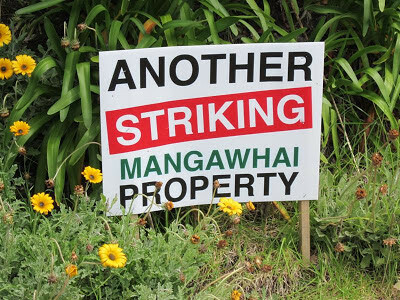 A legal opinion being prepared by Quay Chambers barrister Kitt Littlejohn for ratepayers group Mangawhai Residents & Ratepayers Association (MRRA) is highly critical of Council’s recent planning and rating decisions. It states that Kaipara District Council showed “contumelious disregard” for decision-making processes legally required by the Local Government Act, when setting residential rates for the current (2012-2013) financial year. MRRA’s legal advice indicates that a High Court judicial review will be necessary to confirm the illegality of Kaipara Council’s rating decisions. Details from the legal opinion will be provided here when it is finalised. Interestingly, the letter from John Robertson, Commissioners Chair, states that the report from the Office of the Auditor General will "not be available for several months".... This is hardly good enough. This is one of four current reviews into the Mangawhai Community Wastewater Scheme. The timeframe for completion of these reviews is mid- to late December 2011. This is a very interesting read. If you are interested in others, best place to start is the index of KDC reports, and scan down to "M" for Mangawhai. The report I found most helpful - which comes complete with a set of attachments - is one which catalogues the minutes of all of the relevant council decisions from inception, including all confidential decisions (held with public excluded). This report includes hot links to all relevant attachments that are referred to. I needed to remind myself of the details of the application, and so consulted the Council website. The first page you find easily is the public notice. Construction sites are required at the surface along the tunnel alignment to construct the tunnels and provide permanent facilities associated with ongoing operations and maintenance. There will be a total of 19 construction sites along the main tunnel and link tunnel alignments. These sites are located where connections to the existing or proposed network will occur, where a construction base is required for tunnel construction, and/or where permanent access is required for maintenance/inspection purposes. Most sites are required for all three purposes. Further down the public notice readers are advised: "Any person or organisation may make a submission on the notices of requirement....". Links are provided. Several of these lead to this page. And then you click the link there: Lodged notices of requirement. The following Notices of requirement for the Watercare CSO Collector sewer sites (6) will be subject to limited notification. Only those persons who are notified by council will be able to lodge submissions on the sites. Only those persons who are notified by Council!. No mention of the familiar words "Central Interceptor" only the abbreviation: "CSO". This is followed by six links. These relate to: Moa Reserve, Wingate Street, Waterview Reserve, Howlett and Waterview Walkways, Seaside Reserve, Alan Wood Reserve. I suggest you have a look at one of these. I suggest Moa Reserve. What you get is a glossy summary document entitled: Central Interceptor Scheme: Combined Sewer Overflow Collector Sewers Notice of Requirement 1. WATERCARE SERVICES LIMITED (“Watercare”) gives notice of a requirement for a designation of land for the construction, operation and maintenance of wastewater infrastructure. (1) This notice may be cited as the Resource Management (Approval of Watercare Services Limited as Requiring Authority) Notice 2012. (b) undertaking a drainage and sewerage system; including the operation, maintenance, replacement, upgrading and improvement of infrastructure related to these operations, in the Auckland region and in the Waikato Region, for the purposes of providing services to Auckland. 3. Interpretation—This approval includes infrastructure relating to the abstraction, storage, supply and treatment of water and the collection, treatment and disposal of wastewater. What is proposed for the Central Interceptor project appears to be the willful segmentation of the project into tiny pieces, each requiring its own little designation, and each apparently only being subject to submissions by invitation from Auckland Council - even though the land that is affected appears to be Council reserve land. Public land, and even though each of these little pieces is itself part of a much larger $800 million project. I object to what appears to be an abuse of process. 1. Having sat as commissioner hearing sewage network discharge applications in various parts of the Auckland region, and having chaired North Shore City Council’s Works and Environment Committee throughout the period when it was required to upgrade, augment and otherwise maintain its sewage network and wastewater treatment plant, I consider myself to be reasonably expert in Auckland sewage operational and consenting issues . 2. 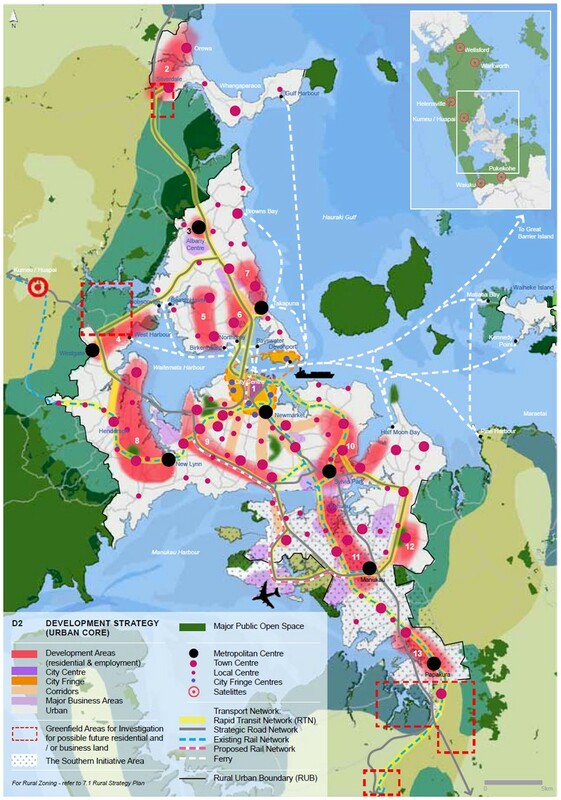 This submission relates to Auckland Council District Plan (Auckland City Isthmus Section and Manukau Section), Central Interceptor Scheme – Main Project Works (Western Springs to Mangere Wastewater Treatment Plant). 3. Specifically it relates to both the Notices of Requirement for Designations (Proposed Plan Modification 332 - Isthmus District Plan, Proposed Plan Modification PA58 – Manukau Plan), and also to Applications for Resource Consents (R/LUC/2012/2846–Isthmus Plan and NES consents, PRC40962 – Manukau Plan and NES consents, master consent 40834 for the various regional consents). 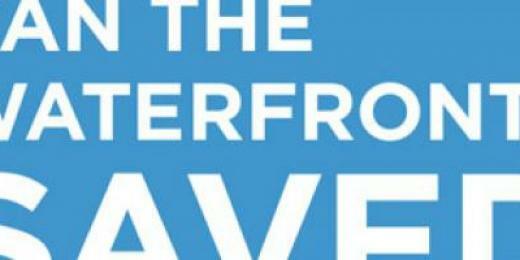 * To reduce existing wastewater overflows from the combined sewer system into urban streams and the Waitemata Harbour. A further objective is to minimise construction and operating costs, whilst having regard to the sustainable management of resources. My submissions, in part, relate to this latter objective. I submit that the Central Interceptor project is significantly more expensive to construct than alternatives, and that because it is an approach that does not lend itself to staged implementation, minimal environmental benefits will be delivered until the whole project is complete. I enlarge upon these submissions below. My further submissions relate specifically to the last of this suite of consents – namely the consents for discharges to the Coastal Marine Area (CMA). In summary, my contention is that Watercare has a legal obligation to seek regionwide discharge consents for its whole network – not just for the part of the network described as the Central Interceptor. Officials and commissioners need to be able to consider the operations and effects, now and into the future, of the whole of Watercare’s sewage network (because they are interconnected) including those parts that operate as combined stormwater sewers. The present application seeks consents for discharges from just one part of the network, leaving discharges for other parts of the network unconsented – despite the RMA requiring consents for all discharges to the CMA. I enlarge upon this submission below. 6. Large centralised sewage systems are typical in New Zealand’s urban environment. These are expensive to build and - as environmental expectations increase – alarmingly expensive to maintain. North Shore City Council discovered this when community pressure obliged Council to fix its network and prevent wet weather overflows from sewer pipes which were closing local beaches. While I was Chair of North Shore City Council’s Works and Environment Ctte officers investigated sewer augmentation options not unlike Watercare’s proposed Central Interceptor Tunnel, but rejected them on the basis of cost. Instead North Shore City Council adopted a dual programme to reduce stormwater infiltration into its sewer network, and to build underground storage tanks which collected the most damaging and frequent overflows. When the storm has passed and the sewer network has drained sufficiently, the collected wastewater that would otherwise have polluted beaches, can be pumped to the treatment plant. The benefits of this approach were many. It was not capital intensive and could be funded from rates revenue. It was an approach that could be staged – environmental benefits were immediate when the first overflow storage tank was constructed. It allowed for a de-centralised approach to network management – which lent itself to computer control in response to concentrated weather events. 7. Watercare’s EIA for the Central Interceptor notes the constraints on its network that the discharge consents for its Mangere Waste Treatment Plant impose. These constraints effectively constrict the ability of Mangere WWTP to cope with increased inflows during wet weather events. To meet Watercare’s objective (quoted from above) “to reduce existing wastewater overflows from the combined sewer system into urban streams and the Waitemata Harbour” it is more appropriate to provide for enhanced storage of wastewater that would otherwise discharge, than it is to augment flows to Mangere – because of its inability to cope with increased flows. The North Shore City Council exemplar of distributed storage tanks provides that sort of storage capacity, whereas the Central Interceptor approach (given the limited storage capacity provided in the pipes) does not. 8. While I am not familiar with the exact lay of the land where discharges currently occur on the Auckland Isthmus, it is my understanding that locations exist near major discharge points where underground storage tanks could be located. Based on my North Shore experience and knowledge of construction costs of storage there, I believe there would be savings with such an approach on the Auckland Isthmus. In addition, a key benefit with NSCC’s incrementally built storage tank system, is that environmental benefits are delivered as soon as the first tank is in place and operational. The Central Interceptor will not produce benefits from reduced discharges until it is virtually complete. This is a typical negative of centralised infrastructure. The separate storage tank approach delivers an intelligent de-centralised system which can be controlled remotely to respond to the kind of localised weather-bomb type events that can very quickly overwhelm traditional sewage systems. While I understand that Watercare does not need to show that it has considered every alternative, in my opinion its lack of consideration of the NSCC approach to the problem is not in keeping with Watercare’s stated objectives and is not consistent with the overall purpose of the RMA. It is important to note that this means that there will still be discharges of untreated sewage from “this network” even after the Central Interceptor works are completed. The same – but different – outcome was anticipated in the case of NSCC’s sewage network infrastructure improvements which were delivered at significant ratepayer cost. In that case residents were given the option of “no overflows in a typical year” – at a cost of almost $1 billion, “2 to 4 overflows in a typical year” – at a cost of around $400 million, and so on. Affordability was a key issue. So too were considerations as to which overflows would be prioritised. Because it was not possible to contain all overflows in every storm event. 10. I sat as one of the commissioners who considered NSCC’s wastewater network discharge consent application. The critical information was drawn from a computer model of the entire network. This predicted the magnitude of discharges from different discharge points, under different storm events. The model allowed engineers to simulate the environmental effects of different improvement scenarios. This information was central to the decision-making of commissioners. It enabled them to decide conditions of consent for the upgrade and operation of the network – considering environmental effects of discharges from the whole network – alongside a committed budget and program of works for the network. 11. The Central Interceptor is one possible upgrade for one section of the sewage network on Auckland’s Isthmus. Implicitly it deals with some of the existing overflow points, and at the same time will allow overflows (the 20% volumes that will discharge, 6 to 12 times a year) from other overflow points. Other sections of the Auckland Isthmus network will continue to discharge as they do now. But commissioners will not be in a position to decide or recommend operating conditions that meet whole of network concerns. 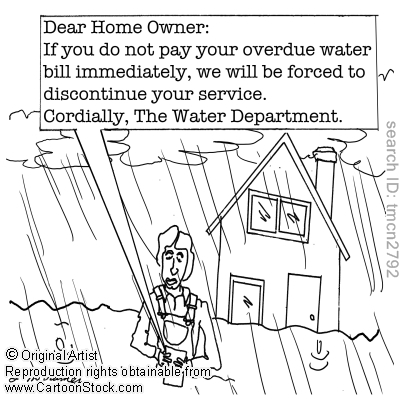 They will be required to take Watercare’s word. This is not a satisfactory situation. Watercare mentions the possibility of a “Northern Interceptor” which could collect overflows and sewage flows and direct them to the Rosedale WWTP. I am aware that there is also a need for a CBD Interceptor that would collect the discharges that presently flow untreated into the Viaduct and other parts of Auckland’s developing waterfront putting sporting and other activities at risk (for example Triathlon events). 12. The Watercare Central Interceptor project resource consent process is fundamentally flawed because commissioners and officials considering the application will not be able to consider the function of the network as a whole. Nor will they be able to assess the Central Interceptor proposal weighed against other projects or proposals that address discharges in other parts of the Auckland Isthmus sewer network. The application should not be permitted to proceed to hearing in its present form. There is insufficient information for commissioners to process the application that is in accord with the purpose of the RMA.